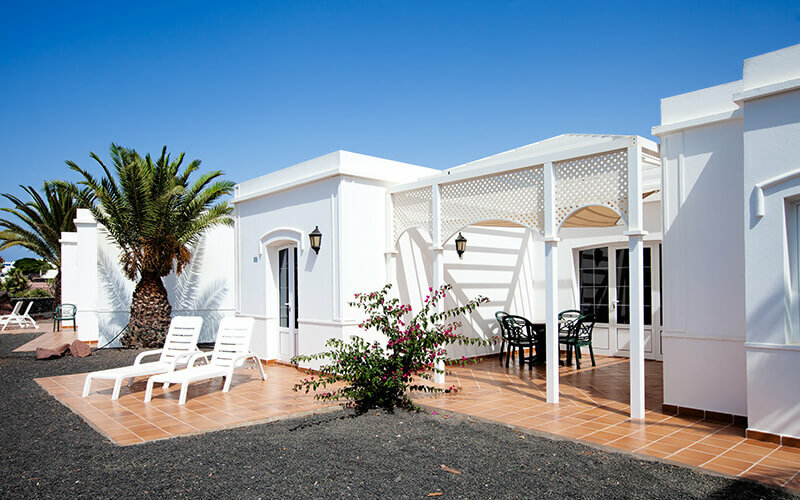 Villas Coloradamar is the ideal option for those looking to enjoy a personalised holiday, with facilities taken care of to the last detail in modern and comfortable bungalows with beautiful views. The bungalows are built at different heights and levels, so each of them has its own space. 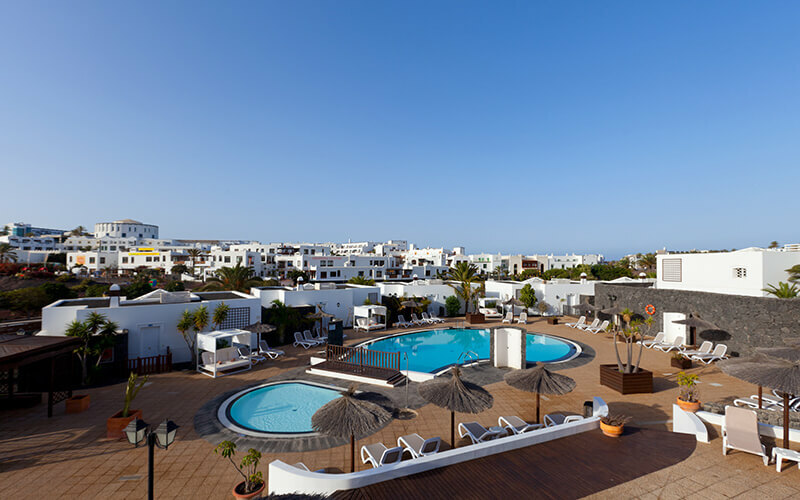 From the Sea View Plus Bungalows you can enjoy stunning views of Fuerteventura and the immensity of the Atlantic Ocean. Villas Coloradamar are designed for a complete holiday with everything you need. You can enjoy a swimming pool (for adults and children), Jacuzzi, tennis court, 5-a-side football pitch, basketball hoop and bicycle rental among other services, with our team of professionals also at your entire disposal for anything you may need. In the bungalow garden, excluding the pool area. Up to 6 kg (13 lbs). At reception and in swimming pool area. Everyone is welcome, respected and appreciated. Languages: Spanish, English, Italian, German and French. “The reception staff was excellent every day. They were very attentive and friendly”.